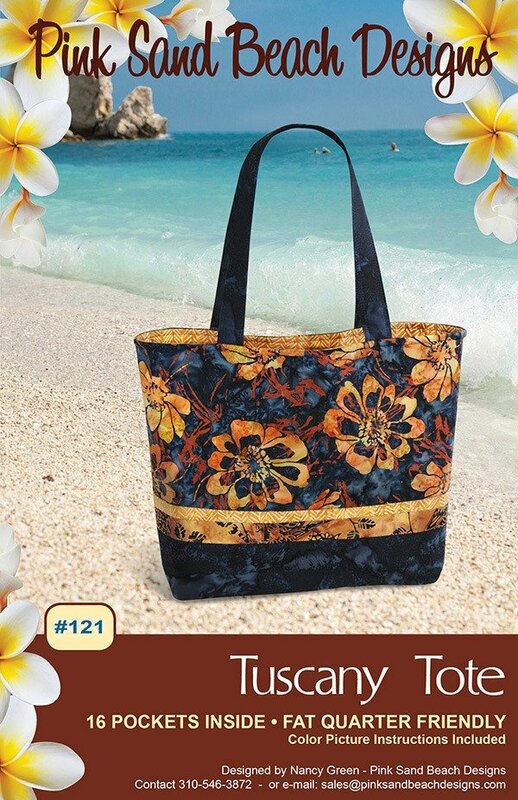 Tuscany Tote PTN#121 by Pink Sand Beach Designs. It was the inspiration for a special project using our 2016 Row by Row Experience FabricPlate. (Click on second picture to view) The Tuscany Tote pattern is perfect for a summer beach bag, travel tote, and more. It features 16 pockets inside and the design is fat-quarter friendly. The finished tote is 16.5" wide (at the top) x 12" tall x 4" deep.